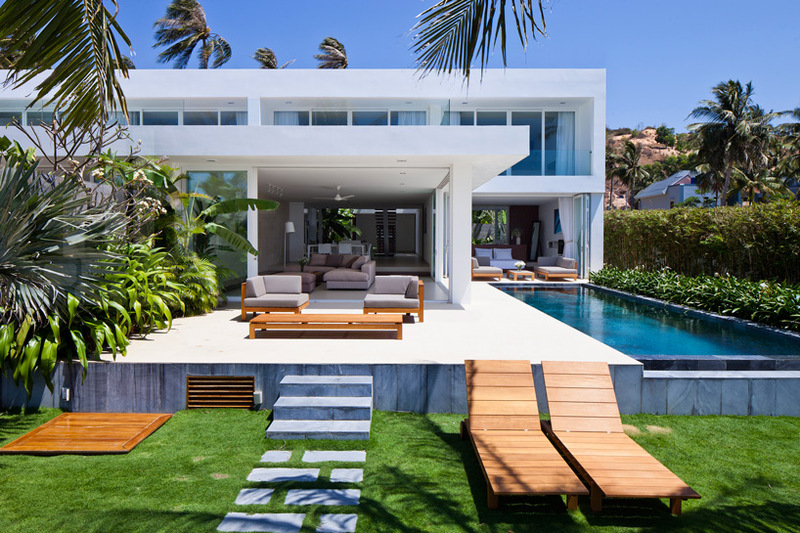 Thanks to the fine work by the interior designers at MM++ Architects, you can take interior design inspiration from this Modern Beach House in Mui Ne, Vietnam. The architects My An Pham Thi and Michael Charruault (the two Ms obviously) are versatile in their structural artistry, able to work on traditional to contemporary architecture, from high end to low cost solutions, from small to XXL scale, based on 3 design precepts: Creation of beautiful spaces for everyday living, collaborative creativity and a tailor-made rather than ready-made approach. 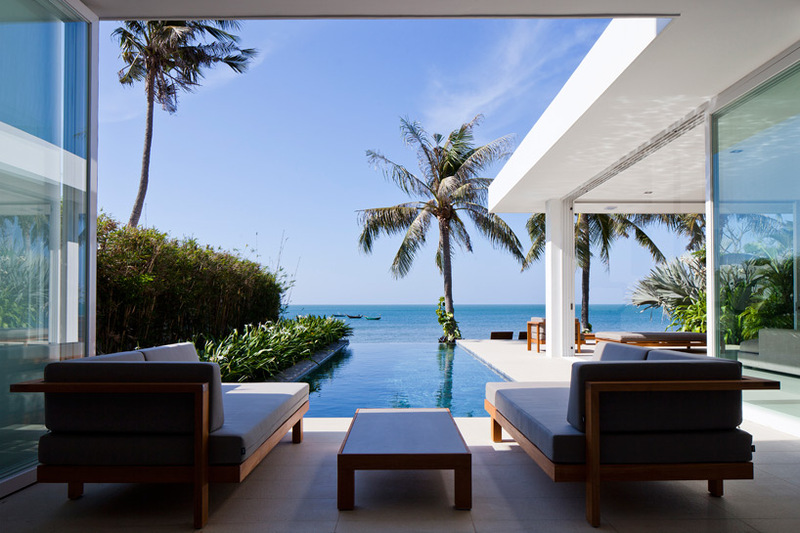 The result is an outstanding beach house in the coastal region of Southeast Vietnam: Mui Ne is a stone’s throw away from the tourist haunts of golf courses and ocean activities – scuba and windsurfing. 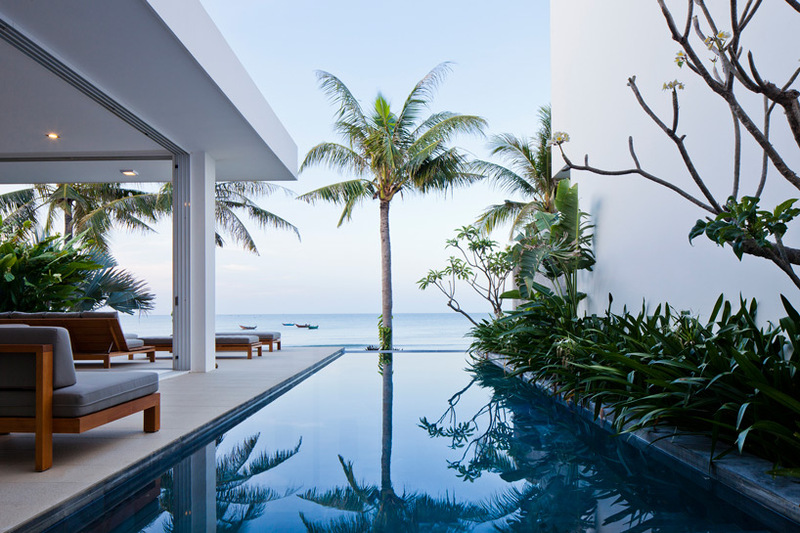 Completed in 2014, the 1014.0 sqm villa is one of many designed by MM++ Architects, a Vietnam-based architectural firm which managed to take intimacy and privacy of a modern residence and apply it to a holiday resort. 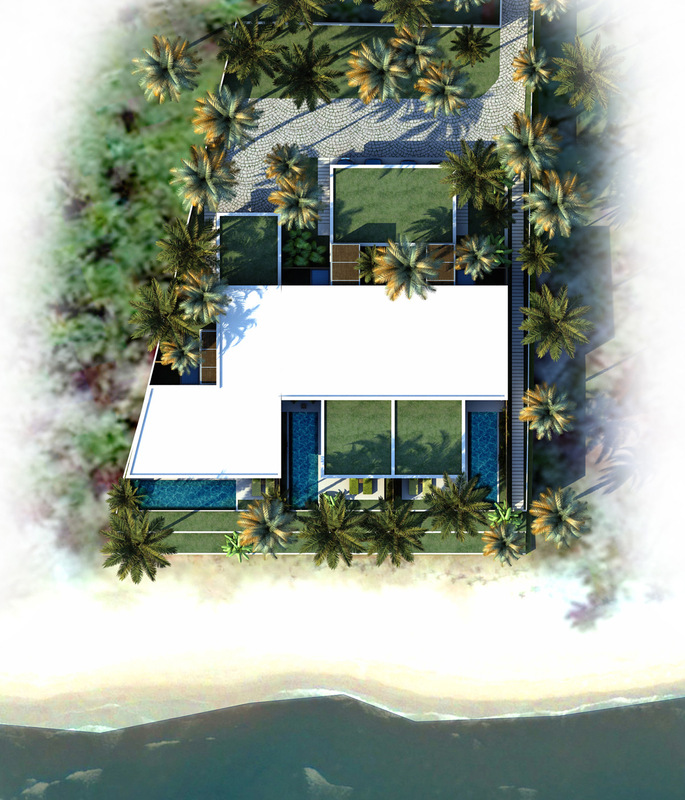 The minimalism and the adaptive design taking advantage of the lush tropical environment bring its residents closer to the earth without sacrificing any luxurious mods and cons.